NEW VIDEO: Y40 JUMP Last year, I went to Y-40 The Deep Joy to discover the deepest pool in the world. Julie Gautier filmed it. Thanks to Giovanni Boaretto, Anne Maury, Fou Zarrou, Arthur Paux, Joel Nery, Corinne Gil, Cressi, Nauticam, Keldan Lights, BALL Watch Company for your support! We are at the end of 2017 and as has become tradition, we look back over the most popular Video Of The Week (brought to you by Paralenz) to find what we feel is the most standout and popular video of the year. We featured 32 videos this year but one was a true stand-out for us. The DeeperBlue.com 2017 Video Of The Year is Y40 Jump by Guillaume Nery and Julie Gautier (the team behind the fabulous Freefall and Ocean Gravity short films). Filmed at the amazing 40m diving space at Y40 in Italy it features Guillaume doing his signature no-fins diving around the facility.  We’ve chosen this video as our Video Of The Year 2017 for the fact it shows off some amazing freediving, an amazing facility and the fact their videos continue to put Freediving into the minds of millions of non-divers. Video of the Week is brought to you by Paralenz. Every week we bring you some of the most epic videos about diving from around the world whether that is Freediving, Scuba Diving, Snorkelling or Spearfishing. We’re proud to showcase both amateur and professional videos alike.